This page was added by Laurie Stonehouse on 31/10/2013. The best sandwich shop bar none, with all the possible ingredients laid out in a display cabinet in front. I actually did all the exterior painting of "Scoffers" one summer school holiday! Stavros, the greek owner, was a good man! I once worked for a company at the harbour and got Luncheon Vouchers as a 'perk of the job' (tax-free, as I recall) in return for all the unsocial hours I often had to work. 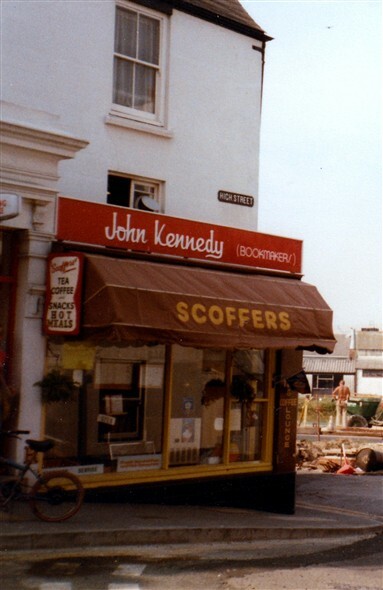 I think Scoffers was the only place in the town to accept them at the time, so when working the 9-5 day shift, I'd walk over and eat lunch there, he did a great spaghetti bolognese, amongst other things.